The first step to mastering the dark wall trend is to choose the perfect shade of paint for your walls. 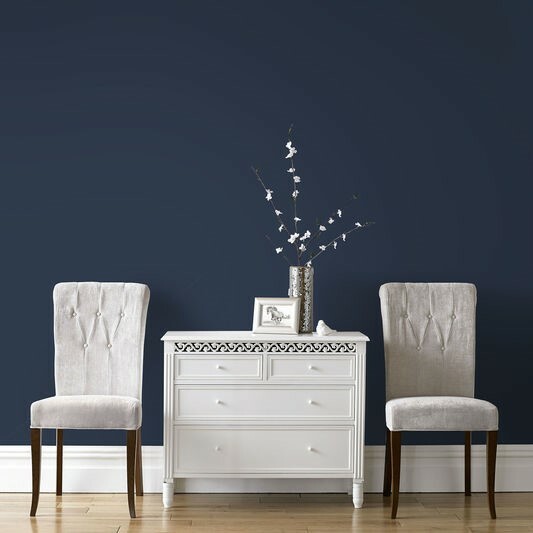 Our collection of blue paint shades is extensive with colours to complement every preference. 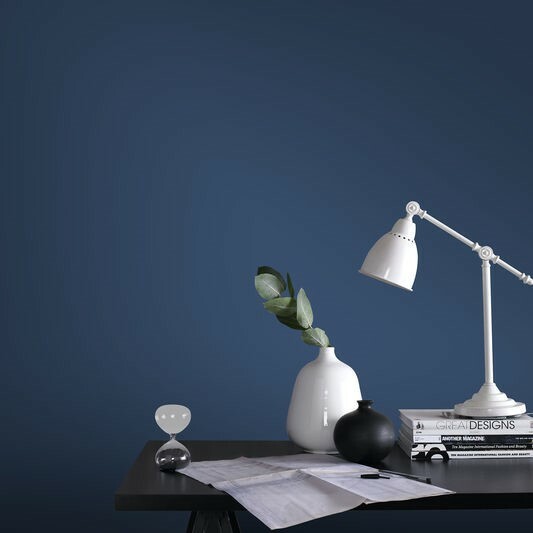 To make the decision process easier, we’ve picked out a few of our top dark blue shades including our Quantum paint, Sloane Square paint and Infinity paint. 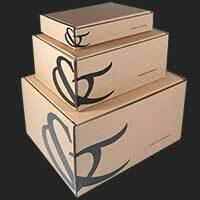 All of these shades are classic, timeless and versatile and will blend effortlessly with a variety of other shades. 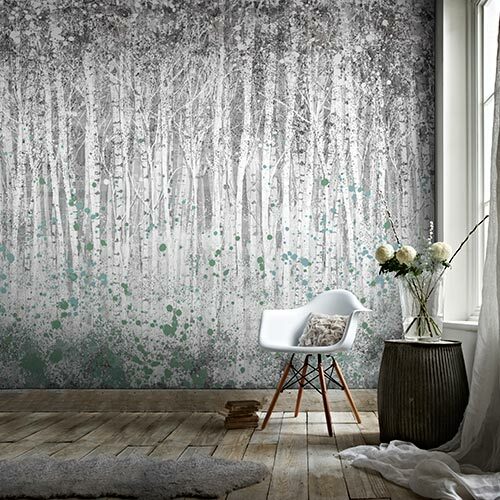 So, once you have picked out the perfect shade, it is time to style the room to create your desired look. The great thing about navy walls is that you can keep it neutral or create an impact with the addition of bright accessories. If you want to keep it simple and understated, white is the perfect contrasting colour. 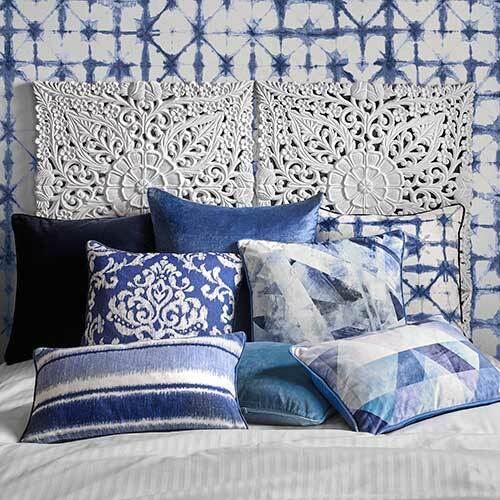 You could also choose to use lighter tones of blue to add depth and texture. Don’t be afraid to introduce pops of yellow or pink with a selection of scatter cushions or throws as the beauty of this shade is that you can mix and match it with almost any colour. For a sophisticated look, grey and white accents work well while using white alone can introduce a nautical theme. Copper elements and metallics can really add a touch of elegance to the room and our Ornate Ethnic panel is the perfect way to create a focal point. 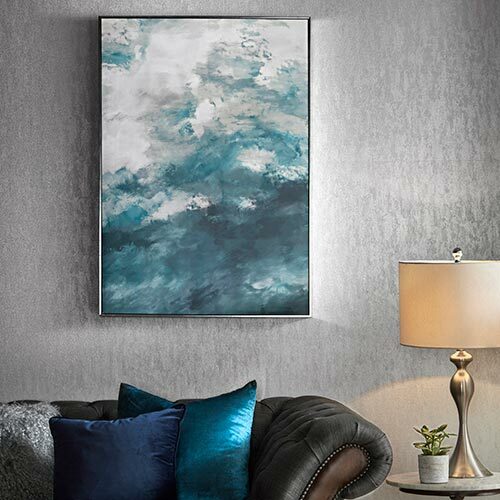 Metallics look striking when placed against a navy backdrop and this design is ideal should you wish to add a sumptuous glow to your walls. Add the finishing touched with our copper desk lamps. If you want to stick to neutral tones, our Neutral Ombre Cushions are simple to style and will create a contemporary interior space when paired with our Geometric Natural and White patterned rug. 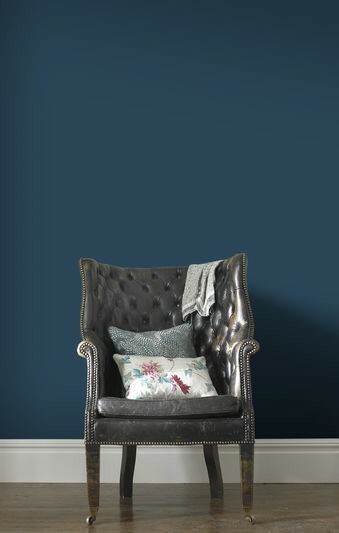 Navy is a fashionable colour choice this season for those who wish to create a warm, rich interior at speed. It can be masculine or feminine depending on the execution. 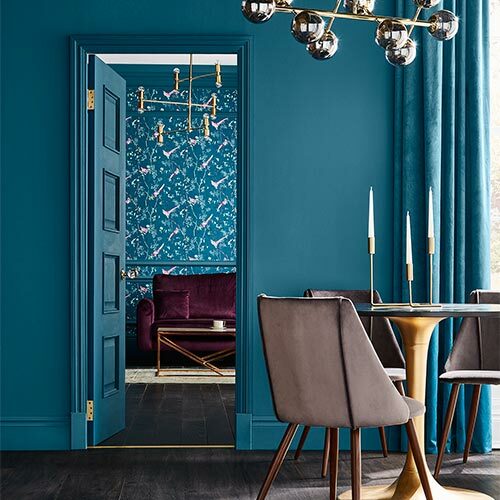 Use our styling guide to switch up your décor with dark navy tones.